Fort Walton Beach is a small, eclectic city that lies between Panama City and Pensacola just west of Destin, Florida. Locals and Vacationers love the sloping terrain of the beaches here. 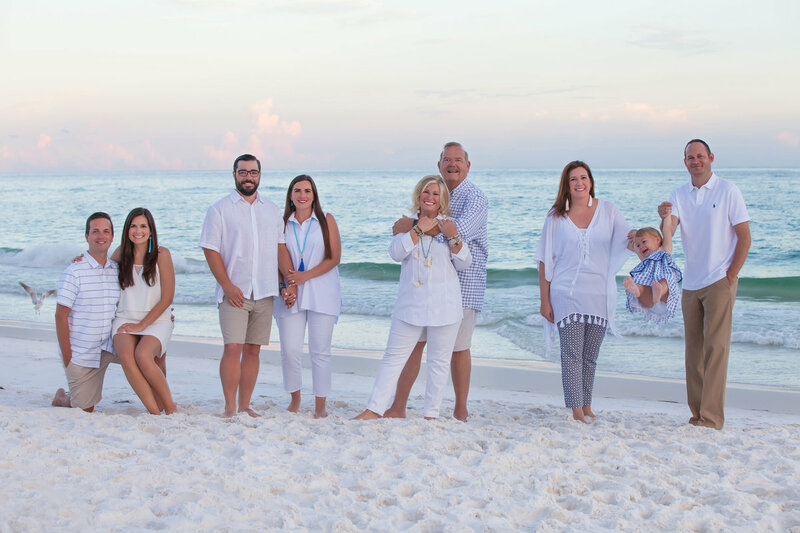 Large white dunes and inlets of crystal blue water paint the landscape for miles offering a wonderful landscape for your Fort Walton Beach Photography session. A large fishing pier extends out into the water, which serves for many purposes including a wonderful backdrop for photography. Photographers cannot get enough of Fort Walton Beach and it is not hard to understand why that is. Fort Walton Beach offers much more than just beaches. Blackwater river is a perfect place for photography sessions. This river is one of the purest sand-bottom rivers in the entire nation, which causes the light to reflect off of it and illuminate the tannin-stained water. There are also several photo-worthy trails if you wanted a more woodsy look in your session. Fort Walton Beach has a downtown that is always booming with live music, good food, and fun experiences. Just across downtown is an ancient indian mound (called The Fort Walton Mound), it has beautiful trees, wooden walkways, and a small museum. Okaloosa Island is an area of the greater Santa Rosa Island that stretches between Fort Walton Beach and Destin, Florida. 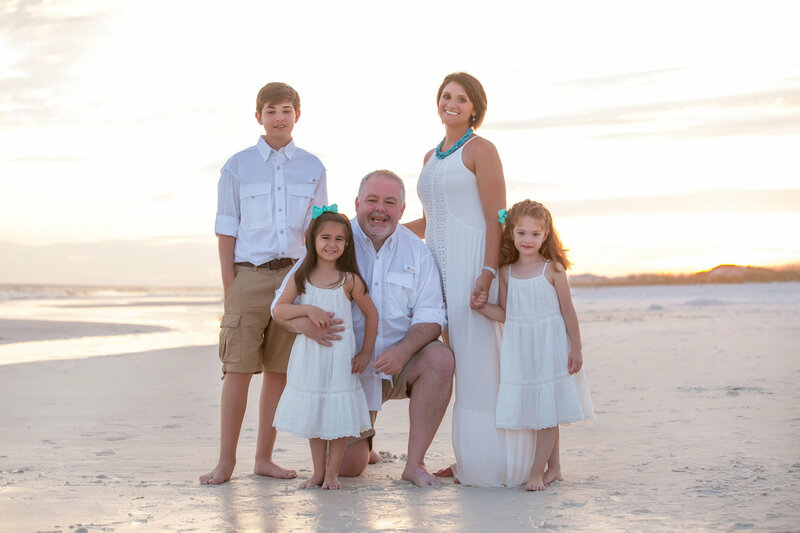 This area maintains all of the natural beauty that makes this an ideal location for visits to the beach and Okaloosa Island Photography sessions. Many species that call this home for nesting, especially our turtles, the area stays preserved for its natural wonder. Okaloosa Island has built up recently with large condos, resorts, and golf courses. But just 10 minutes back into true Fort Walton, it has kept the small-town feeling with homey restaurants and local treasures. When you are on the beach there is always some sort of photoshoot going on, whether it is just a couple friends or a professional photographer, photos are a part of our lives. 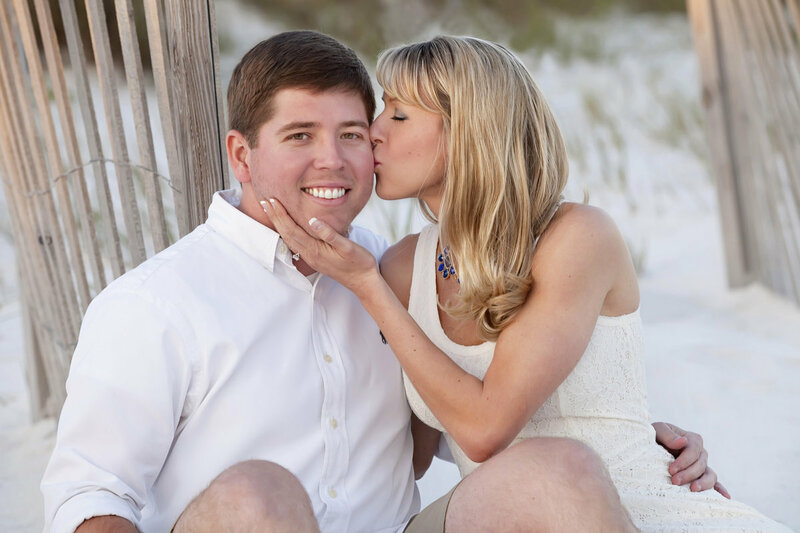 Fort Walton has a heart to it and it is really fun to try and capture that while also capturing the hearts of clients. Beasley park is a local favorite for photography, there is always parking (we locals know that is tough to find! ), it also has a natural wood-color pavillion that is striking against the white sand. It is an easy place to meet up with clients (and is very kid-friendly). Okaloosa Island is just east of Fort Walton Beach and is still in Fort Walton - it is often just called the Island. Okaloosa Island has restaurants like Angler’s and Crab Trap, along with a large fishing pier mentioned earlier, it also has The Gulfarium. The Gulfarium is a marine adventure park with penguins, otters, dolphins, and more! If dolphins are what you are after, it does not take going to The Gulfarium to see them. Right off Fort Walton beaches are a local dolphin pod that frequent the beaches at sunset. Dolphins have often appeared in the back of photo sessions! Fort Walton and Okaloosa Island have so much to offer photography, every beach is special and different and these beaches are no exception.